These statements are also available from their Website both English and Japanese. Global multimodal service provider, Geodis Wilson, strengthens its Oil & Gas segment with an expanded task force, a developing client base, and announces its exhibition to this year’s Offshore Technology Conference (OTC) in Houston, Texas, to showcase its tailor-made, global logistics solutions. Geodis Wilson, the global freight management division of SNCF Geodis Group, won a global contract with a global leader in the design, manufacture and sales of Oil & Gas mechanical equipment and components. 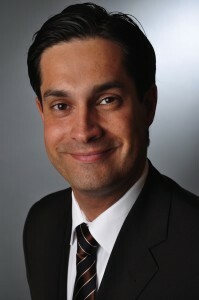 This win was awarded to the company not only for their expertise in the project logistics field and vast global network in over 60 countries, but was also attributed to the support of the newly invested Oil & Gas team in Houston, Texas, led by Steen Christensen, Global Head of Oil & Gas Division. Geodis Wilson will be exhibiting at the renowned Offshore Technology Conference, Booth No. 324, from May 5th to 8th 2014, in Houston, Texas. The company will emphasize its presence as a leading provider of tailor-made logistics and transport engineering solutions for the Oil & Gas industry. Geodis Wilson is a leading global freight management company. With 9.000 employees in more than 60 countries the company delivers tailor-made, integrated logistics solutions to customers enabling them to operate as ‘best in class.’ Geodis Wilson is the freight-forwarding arm of Geodis Group which became part of the French rail and freight group SNCF in 2008. With its 47.600 employees in 60 countries ‘SNCF GEODIS’ ranks among the top 7 companies in its field in the world. Priority Freight, the award winning global lead logistics provider of time-critical freight transport services is again exhibiting at ‘ap&m europe 2014’, Europe’s leading networking event for the Commercial Aviation MRO & Aftermarket. The exhibition is being held in Olympia Grand Hall, London from the 6th to 8th of May. Priority Freight will be showcasing its expedited freight services that have been honed to the height of efficiency by years of experience in the demanding aviation and automotive sector on Stand C60 at the exhibition this year. The company has an experienced multilingual staff that operates from six offices located in four European countries. It provides emergency freight solutions to time-critical transport problems 24/7, 365 days a year around the world. ‘ap&m europe’ is proud of the place it holds in the airline supply chain, facilitating business exchanges and contacts between airlines and their technical supply base. Covering the full range of MRO and related services, exhibitors, delegates and visitors between them represent the full spectrum of activities which go into keeping airlines flying. “Priority Freight is an award winning lead logistics provider of expedited transport services to the aviation sector, where services are tailored to support the demands of AOG and MRO operations. When parts are needed to keep aircraft operational, we understand the requirements for immediate response. Our experienced multilingual staff, operate out of 9 offices in 7 countries, delivering global, emergency solutions 24/7, 365 days a year. Priority Freight’s industry-leading cloud-based IT solution provides visibility and transparency to clients across multiple locations, jurisdictions and continents. Geodis India announces the appointment of Sascha Von Ometzinski as National Sales Manager. Since April this year, Sascha has the overall responsibility for sales & marketing development of Geodis’ Freight Forwarding and Logistics division in India. Sascha Von Ometzinski’s main priorities will be to strengthen and increase the company’s trade lane activities, particularly with a focus on Brazil, China and the USA, and to expand the business in key market segments such as Fashion, Retail, Industrial, Automotive, Hi-tech and Pharma. Geodis Wilson is a leading global freight management company. With around 9,000 employees in 61 countries the company delivers tailor-made, integrated logistics solutions to customers enabling them to operate as ‘best in class.’ Geodis Wilson – with a revenue of 2,67 bn € in 2013 – is the freight forwarding arm of Geodis Group which became part of the French rail and freight group SNCF in 2008. SNCF Geodis ranks among the top 7 companies in its field in the world. In preparation for the coming peak season, Evergreen Line is implementing service enhancements for the Red Sea market. The carrier will adjust the port rotation of its Far East – Red Service (FRS) and launch a new feeder loop. In addition, the line intends to further strengthen its Red Sea service network via slot exchange arrangements with a strategic partner. This month the eighth ship has been deployed on the FRS service to add a new call at Aden. The adjustment enables a direct service from Central China, Southern China and Southeast Asia to Yemen. Employing one vessel of 1,500 TEU, Evergreen Line will also launch a weekly Intra Red Sea feeder service (IRS) in early May. Furthermore, the line will utilize this new IRS loop for a slot exchange arrangement with X-Press, adding a service to Hodeidah, Yemen and Djibouti in East Africa via transhipment in Jeddah. Specialist transport insurance provider, TT Club has appointed a network partner in The Philippines. Del Rosario Pandiphil Inc. becomes the seventh such partner that the international logistics and freight handling insurer has in the Asia-Pacific region, underlining the Club’s commitment to provide its Members with both local expertise and global coverage. From its headquarters in Manila, Del Rosario Pandiphil will be dedicated to handling TT Members’ claims in the most comprehensive and effective manner. As a Network Partner its operation will be integrated into the Club’s claims IT system and receive delegated claims handling authority. Phillip Emmanuel, TT Club’s Regional Director – Asia Pacific has welcomed the agreement. “The Philippines is a fast-growing and important regional economy with a developing transport and logistics role in both the burgeoning intra-Asia trades and within global trade as a whole. Our agreement with Del Rosario Pandiphil grows the Club’s global network to the benefit of both our local Members as well as the Membership in general,” he said. TT Club prides itself on the efficiency of one of its strongest attributes — its global claims service. Its Members’ operations touch every part of the world and as such service provision must be truly international. “Our appointment of a partner in The Philippines demonstrates the Club’s balancing of focus on the Asian market and the recognition of its continued increasing influence on the global freight transport sector,” emphasised Emmanuel. Customers include some of the world’s largest shipping lines, busiest ports, biggest freight forwarders and cargo handling terminals, to companies operating a handful of vehicles. TT Club specialises in the insurance of Intermodal Operators, NVOCs, Freight Forwarders, Logistics Operators, Marine Terminals, Stevedores, Port Authorities and Ship Operators. Menlo Worldwide Logistics this month marked its 7th year as ArjoHuntleigh’s global logistics and distribution partner. The two companies provide an interesting case study that demonstrates the value of a business relationship built on trust and a common vision which at its core emphasizes a continuous improvement ethic that extends deeply into both organizations. A leader in the manufacture of medical equipment for people with reduced mobility, ArjoHuntleigh focuses on developing mutually beneficial supplier relationships. Menlo, the global logistics and supply chain management unit of Con-way Inc. (NYSE: CNW) has built its customer solutions on a formalized process and proven tools for driving Lean continuous improvement throughout its service portfolio – and into its customer’s supply chain operations. The match has been undeniably successful. In providing for the care of people who require assistance with mobility ArjoHuntleigh focuses on preventing the preventable and assisting their customers in an increased efficiency. As such it constantly strives to do the same with its own processes and supply chain. Menlo, which offers warehousing and transportation management services as well as integrated 3PL and 4PL logistics solutions, has as its core philosophy a value-driven supply chain transformation concept. The company employs Lean methodologies to achieve a culture of continuous improvement which unites manufacturer and supplier in a mutual optimization exercise. This method empowers employees of both parties to make beneficial changes to the supply chain process. Menlo and ArjoHuntleigh share a mutual drive to improve supply chain processes as the parameters of change in market forces and the economic environment constantly fluctuate. Long-term relationships made up of such like-minded organizations as these are proven to be the most successfull in adapting to on-going, challenging business circumstances. In Europe, Menlo Worldwide Logistics maintains seventeen dedicated and multi-client logistics centres located in the Netherlands, Belgium, Czech Republic, Germany and the United Kingdom. This warehouse network can serve as pan-European distribution solution using one or several facilities. Supply chain and transport management solutions as well as 3PL, warehousing and distribution services are offered to a variety of vertical industry sectors including: fashion & apparel; healthcare and medical equipment; hi-tech electronic and data network equipment; automotive; defense and government services and retail e-fulfillment. 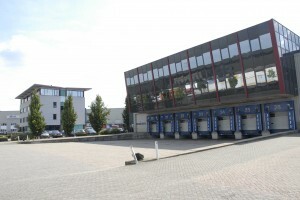 The European headquarters is at the multi-client Amsterdam Distribution Centre in the Netherlands. Grand Race, Pure Car Carrier (PCC) operated by “K” Line, rescued 199 refugees in Mediterranean Sea north of Tripoli at request to rescue refugee by MRCC Italy(*). In compliance with the request, the vessel immediately headed for the position and successfully rescued 199 refugees at 5:50 (local time) on April 9. Once refugees were onboard, the vessel crew served a light meal to them and treated some of them who were slightly injured. They safely disembarked at Pozzalo port in Italy on April 10 before dawn.